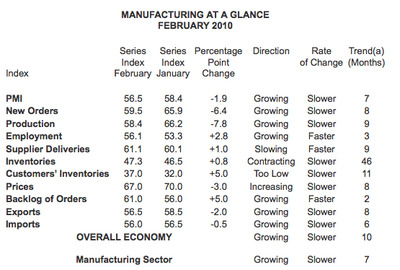 The latest read on manufacturing from the ISM came in unexpectedly weak. Analysts were looking for a reading of 58.0, following last month’s 58.4. Instead: 56.5. 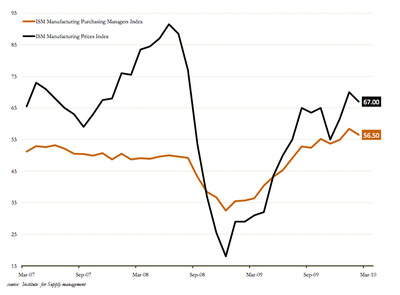 -Economic activity in the manufacturing sector expanded in February for the seventh consecutive month, and the overall economy grew for the 10th consecutive month, say the nation’s supply executives in the latest Manufacturing ISM Report On Business®. The 11 manufacturing industries reporting growth in February — listed in order — are: Machinery; Paper Products; Apparel, Leather & Allied Products; Computer & Electronic Products; Miscellaneous Manufacturing; Transportation Equipment; Textile Mills; Plastics & Rubber Products; Electrical Equipment, Appliances & Components; Fabricated Metal Products; and Food, Beverage & Tobacco Products. 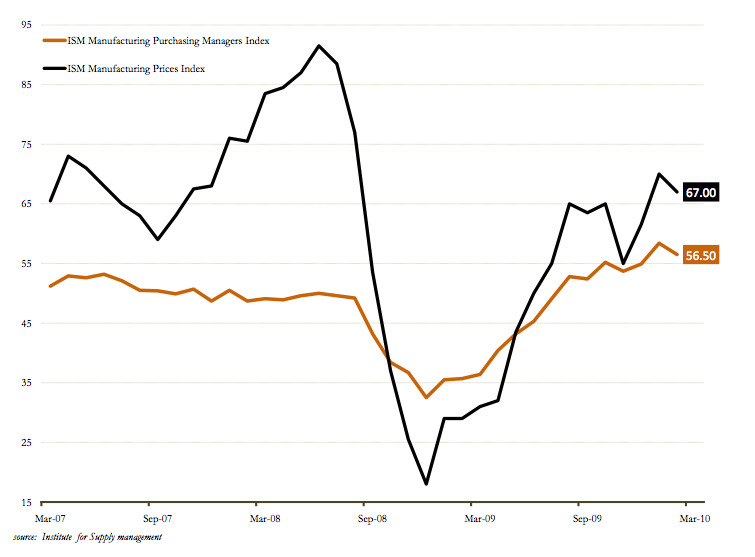 The five industries reporting contraction in February are: Wood Products; Furniture & Related Products; Primary Metals; Printing & Related Support Activities; and Chemical Products. So there’s still growth in various industries, but the rate of growth is really slowing.